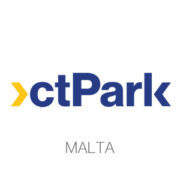 A mainstay of the Group, parking and traffic management has always been one of our most dynamic commercial activities and we are now synonymous with the development of the industry in Malta with a substantial number of public and government contracts for traffic management and parking systems. We have also made a tangible impact overseas particularly in the North African market which led to the setting up of registered companies in Libya and Tunisia, specialising in traffic management and car park management. CT Park has also partnered with other major international players in the speed enforcement sector. The Group was first to recognise the potential of the parking and traffic sector as a viable commercial activity and invested heavily towards pioneering the concept of privately managed pay on foot car parks. Our interest in this sector continues to grow to this day and our expertise has extended to the provision of intelligent traffic management systems, smart LED street lighting systems and electro-mobility solutions. Underpinning our services are exclusive agreements with world renowned parking and intelligent traffic management equipment suppliers.